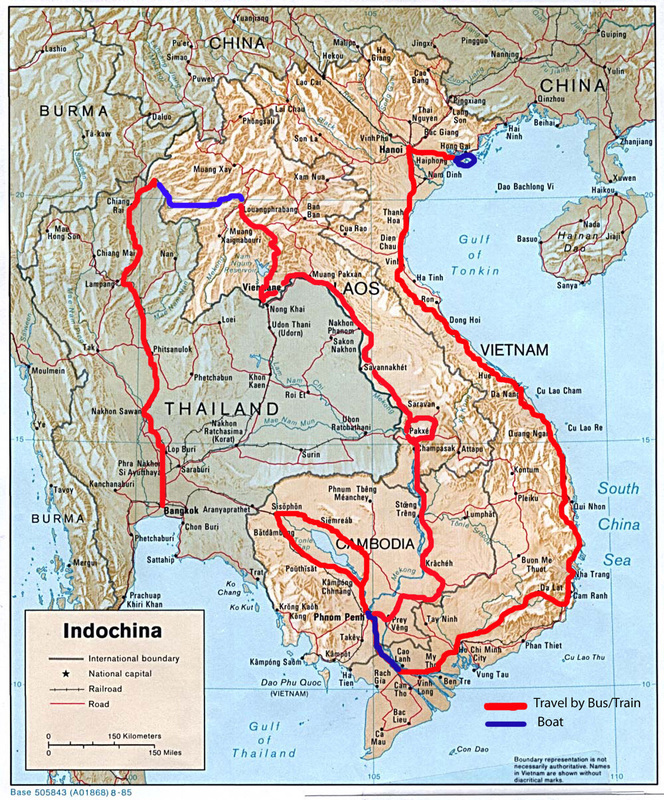 Travels Along the Mekong: Where in the world are the Kuchta's? Where in the world are the Kuchta's? Koh Tao, Thailand - Yes we are still in Koh Tao, going on 18 days but are finally getting ready to leave tomorrow to Koh Samui another island about a 90minute boat ride from here. There hasn't been much in the way of posts lately because we haven't been doing much except chilling on the island and diving and without an underwater camera simply writing about our dive trips is probably not very interesting. We've hit pretty much every major dive site around here from the depths of Chumphon Pinnacle to the recent dive boat wreck at Japanese Gardens to the schools of fusiliers at Mango Bay we've seen a lot. The weather has been great and the water warm. Our new found love for diving has definitely changed our focus for the last couple of months of our trip. So far we have done our open water certification, advanced open water certification and a half dozen "fun" dives with our favorite dive operator on the island Simple Life Divers. Thanks to Woz our instructor and Lisa our divemaster on our fun dives for making our diving so enjoyable. On our last dive for our advanced certification Woz brought along a camera and we took a few pictures that you can see below. Gili Fast Boat or is it Wet Boat?